Many people are planning to resell their old iPad on the online store or give away their old iPad device to their family members after purchasing a new iPad. If you're also one of them, have you wiped all contents & settings on your old iPad, including Apple ID & passwords, email & password, contacts list, photos, videos, etc.? If no, then your personal data may have faced a high risk of leaking out. - Backup your iPad data with iTunes/iCloud or on desktop computer. In order to protect user's personal information from leaking out, users' are always recommended to erased their iPad data completely. But it is no doubt that you have saved lots of crucial yet memorable data on the device. So before erasing your data on iPad, you'd better to backup the iPad data with iTunes or iCloud, so that you can re-sync the data to your new iPad device with few clicks. 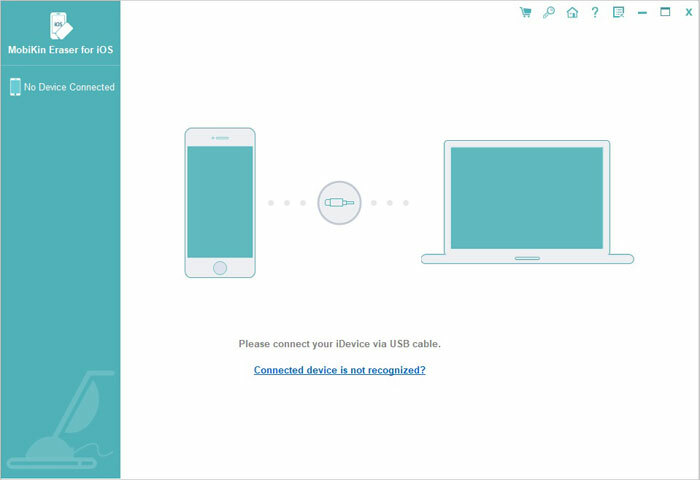 If you wish to backup the data on your personal computer, so that you can sync them to other device like Android phone or tablet, MobiKin Assistant for iOS can help you lots. - Erase Everything (Music, Photos, Contacts, etc.) off Your iPad. People always set their iPad to factory settings, then they think all data on the iPad have been removed forever. But actually, it only means your data is deleted from the device outwardly. So if you never want your personal data can be restored with some special data recovery software, you'd better to wipe iPad data before selling with the reliable iPad Data Eraser software. With it, you wipe everything off your iPad with zero opportunity of restoring. Cool, right? Now, you may have realized how importance of erasing data from iPad before selling, right? So in the following contents, we could like to focus on the detailed steps of how to perform the best iPad Data Eraser software. You can follow the guidance and clear any iPad data you like within few clicks! To get started, you should click the below icon to download and install the powerful program on your desktop PC. Before the process, it is suggested to make a backup of your important data on iPad in case of further need in the future. 1st of all, launch the program and make your iPad be detected by it. 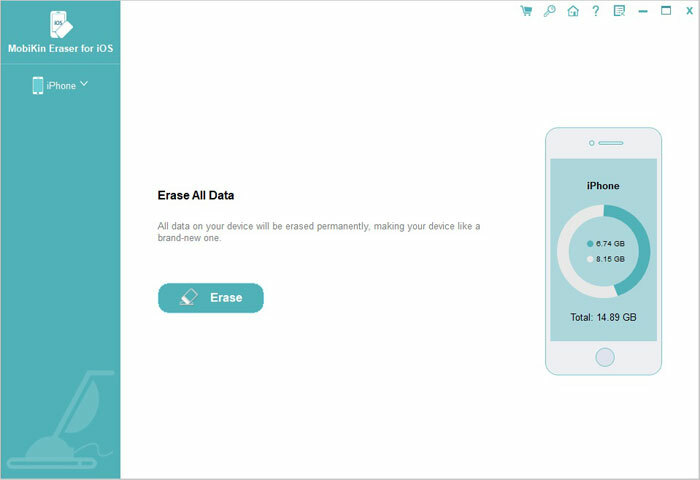 In the left panel, you can see various options here, such as Erase Deleted Data, Erase All Data, Erase Privacy Data, and so on. Select one of the mode here according to your own needs, then you can conduct a deeply scanning on the device to find all files under the mode you have chosen. Here, since you need to resell your iPad on the Internet, so you'd better to choose "Erase All Data" as your option here. Click "Erase Now" button in the main interface and you'll be required to select security level and type the "delete" on the box to confirm your action. After that, the erasing also will be started directly without scanning. Data like contacts, email & password, WhatsApp messages, photos, music, videos, etc. will be wiped with zero opportunity of restoring. So you'll never worry about your personal info on the old iPad will be leaked out. How to Erase iPad to A Clean Slate?